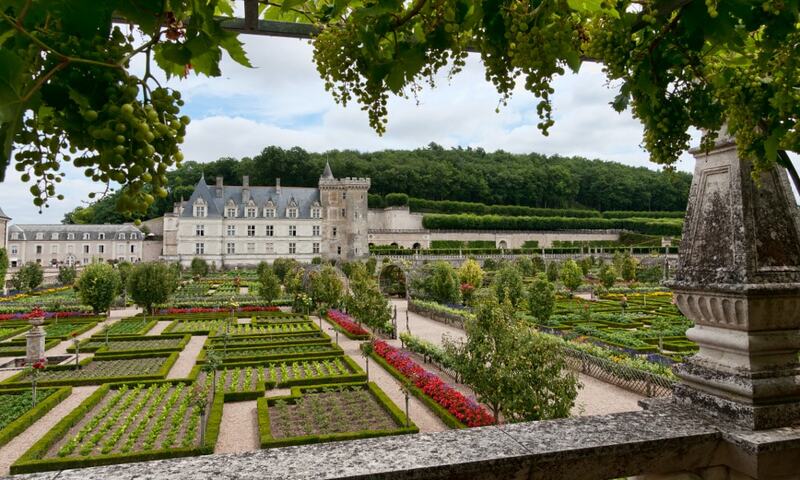 The Chateau de Villandry is a grand country house located in Villandry, especially known for its beautiful gardens. In 1906, Joachim Carvallo purchased the property and poured an enormous amount of time, money and devotion into repairing it and creating what many consider to be the most beautiful gardens anywhere. Its famous Renaissance gardens include a water garden, ornamental flower gardens, and vegetable gardens. The gardens are laid out in formal patterns created with low box hedges. In 1934, Chateau de Villandry was designated a Monument historique. It is also a World Heritage Site.